The Flag of Libya was originally introduced in 1951, following the creation of the Kingdom of Libya. The flag was designed by Omar Faiek Shennib and approved by King Idris Al Senussi who comprised the UN delegation representing the regions of Cyrenaica, Fezzan and Tripolitania at UN unification discussions. 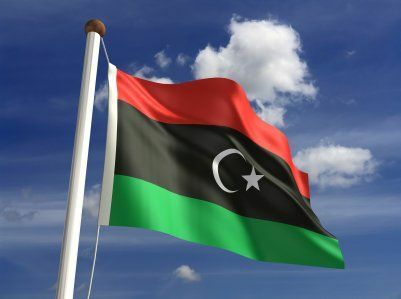 This flag was subsequently adopted by the National Transitional Council and anti-Gaddafi forces and formally reclaimed as the country's national flag in the Libyan interim Constitutional Declaration issued in August, 2011 as a result of the Fall of Tripoli from the Gaddafi government in the Libyan civil war in August 2011. Libya was originally part of Italy and gained independence in 1951. Our top-quality Libya flags conform to all official specifications. Emblems and designs are executed with the highest possible degree of accuracy in regard to detail, color shades, placement and proportion to flag size.